Parks Canada Yukon is looking forward to another exciting summer, and we want you to be part of it! 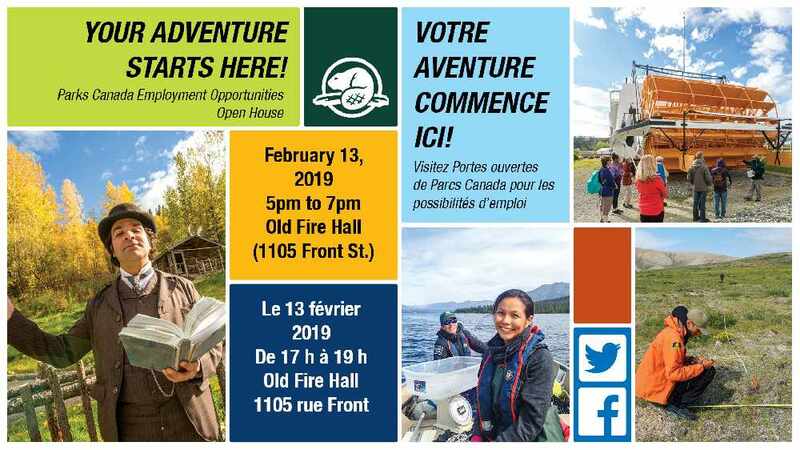 Join us at our Staffing Open House on February 13, 2019 to learn more about our offerings and upcoming bilingual and student/youth seasonal employment opportunities. This event is a great opportunity to learn directly from our hiring managers about current and future career opportunities in many of our iconic sites. We will be collecting resumes for consideration, so be sure to bring a copy. If you have any questions, feel free to contact the Parks Canada Yukon HR team at pc.hr-yukon.pc@canada.ca.